Rangefinders aid golfers in estimating distances and can improve your game. There are two types of rangefinders available on the market for you to use to aide you on the golf course: GPS and laser rangefinders. GPS rangefinders require less time to determine your distance to the hole or other points on the golf course because they use measurements to known points about the course. They require the course to be mapped and sometimes require you to pay a monthly subscription fee, depending on the type of service that you choose. Laser rangefinders, on the other hand, do not require the course to be mapped. They can take longer to get a distance measurement than a GPS-based rangefinder and are only as accurate as the golfer using the device. For a laser rangefinder, the object to determine distance from yourself must be in view. Aim the rangefinder at the object you are determining the distance of through the view port. Once you have the target sighted, pull the rangefinder's trigger, which will send the laser beam to the target. View the distance read-out on the laser rangefinder display. If you have not successfully locked on to a valid target, then there will be an error display requiring you to take the range again. For a GPS rangefinder, load the course you are going to play prior to leaving your house from your computer. Many of the units sold on the market today require a monthly subscription service. 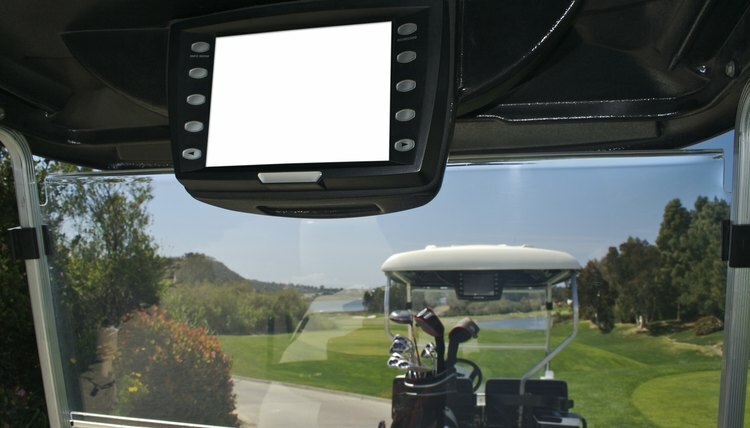 Turn on the GPS rangefinder at the course you are going to play and allow it to acquire the GPS satellite feed. Select the hole you are going to play and the available target. Most GPS rangefinders have the distance to the pin embedded as an option. Some courses may also have intermediary distances embedded in the GPS mapping of the course. When you are complete with the selected hole, most units will automatically shift to the next hole on the course. If you are playing a scramble or tournament that you are not playing the course holes in order, you can manually choose the next hole or target for the unit to measure distance from. Screen Shots Taken by the Author.